Giordano Bruno was a monk, poet, scientist, and magician on the run from the RomanInquisition on charges of heresy for his belief that the Earth orbits the sun and that the universe is infinite. This alone could have got him burned at the stake, but he was also a student of occult philosophies and magic. In S. J. Parris’s gripping novel, Bruno’s pursuit of this rare knowledge brings him to London, where he is unexpectedly recruited by Queen Elizabeth I and is sent undercover to Oxford University on the pretext of a royal visitation. Officially Bruno is to take part in a debate on the Copernican theory of the universe; unofficially, he is to find out whatever he can about a Catholic plot to overthrow the queen. This is the first in the Giordano Bruno series, and my second reading of this novel. This novel promised so much more than it delivered. Using Giordano Bruno (an Italian Dominican Friar 1548 – 1600) as the main protagonist was a stroke of inspiration that the Author did not pursue to its full potential, and the title led me to believe that I would be reading a fictional take on the road that led to this man being burnt at the stake for heresy in 1600. Given all the information that is to be found on this extraordinary man, who was living before his time, the Authors character development of him was not only weak but insulting to the Friar himself; a complete opposite to the treatment given to Bruno in “Aegypt” by John Crowley. Instead of utilising the traits of Bruno’s character and weaving them into her novel, the Author tends to dismiss them offhand which placed him in the “too much of the good guy” mould and made him appear a nice man who, given the ideas he had and the times he lived in, he probably wasn’t; but in this I am just speculating. The one thing that the reader may get from the painting of the protagonist in this way is an urge to find out more about the real life happenings of Bruno. Other characters in the novel are treated with the same offhand approach, and none of them were developed to the point where the reader could truly feel compassion for their situation or connect with them in any way. With this said, I will acknowledge that the Author chose her protagonist well, as there is a wealth of information out there for them to be able to develop Bruno in a more believable way, and possibly turn this series into something remarkable. The book is actually a murder mystery and, in this area the Author did an outstanding job of using this vehicle to get to the religious subtext, and bring it to the forefront. 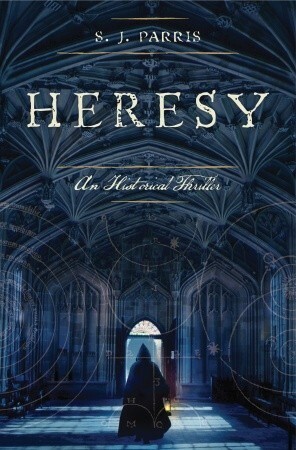 In their descriptions of the horrific murders and torture that are committed in the name of religion throughout this book, the Author reminds us that atrocities have been, and continue to be perpetrated in the name of religion; that modern-day conflicts centred around faith, are no less ruthless or determined about cementing the survival of their beliefs than those involved in The Inquisition. The location descriptions actually pull the reader in to the novel more than the characters, and they are made to feel as if they are walking through unsanitary streets and palace grounds and, in some parts of the novel actually fearing for their lives because of their beliefs. I read this novel twice in the belief, as is sometimes the case when I re-read something, I would pick up on the hidden key that would open it up and reveal all its hidden gems, but this was not to be the case unfortunately. The lack of fleshing out the characters and giving me a protagonist that evoked emotion in me was still there and I had not missed anything in my first read through; this decided my review rating. Personally, I did not think this favourably compared with the two novels mentioned in the synopsis, “The Dante Club” by Matthew Pearl or “The Alienist” by Caleb Carr; both novels I found to be infinitely more superior. However, despite all this, I would recommend this novel to those lovers of the historical fiction genre and especially those who like their history with a slight religious bent. It’s the birthday of Mary Wollstonecraft Shelley, my all time favourite classic Author. Born Mary Wollstonecraft Godwin in London, England (1797), she is the author of Frankenstein ( published January 1, 1818), which is considered the first science fiction novel ever written, and the book that I read over and over again finding new angles in its pages each time I do. After her marriage to the poet Percy Shelley, the couple went to stay in a lakeside cottage in Switzerland with the poet Lord Byron in the summer of 1816. One rainy night, after reading a German book of ghost stories, Byron suggested that they all write their own horror stories. Everyone else wrote a story within the next day, but Mary took almost a week. Finally, she wrote an early version of a story about a scientist who brings a dead body to life. She turned the story into a novel, and Frankenstein was published in 1818. She was 21 years old. But why has this novel survived the test of time, in fact thrived over the 200 years since it was written? Ronald Levao, co-editor of “The Annotated Frankenstein” (Harvard Univ. Press), “She articulated our desire for, and fear about, the transgression of fundamental boundaries,” he says, “between vitality and dead matter, the human and the inhuman, ideal aspiration and monstrous consequence.” It seems he may be right as those monstrous consequences will be in play again this January with the release of “I Frankenstein,” a movie based on the graphic novel by Kevin Grevioux, who graduated from Howard University in Washington. Although the movie has very little to do with Shelley’s novel, it is still keeping alive the premise she intended when she put a pen to paper. I will be celebrating Frankenstein Day by pulling my copy off the bookshelf again and settling in to read it over this holiday weekend. How will you be celebrating? On a secret mission, Lt. Art Sutton’s team of US Rangers parachutes into Nazi Germany weeks before the end of World War II … and vanishes. Missing in Action for seven decades. 2011. Sutton’s team lands on target in Bavaria. Unaware of the passage of time, the Rangers begin their operation: sabotage, assassinations and assaults on military targets. Believing the Rangers to be terrorists, modern Germany’s elite counterterrorism unit – led by unrepentant Nazi Hanno Kasper – hunts them. 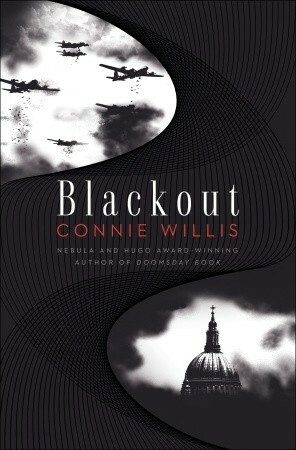 Redolent with the tantalising flavours of movies such as “The Philadelphia Experiment and “Final Countdown”, this novel takes the time slip premise and turns it into something that is unique, refreshing and very hard to put down. The characters are written in a crisp and precise manner, and are fleshed out in such a way that the reader could actually visualise the scenarios they face being plausible. This fact in itself takes this book far out of the realm of being just another time travel/sci-fi piece of writing. There are two characters I certainly did not care for at all in its pages, and this was not because they were badly written; it was because they were so well written that when they appeared one left a bad taste in my mouth, and the other left me wondering how he could not have learnt anything from the fate of his Family. The male protagonist really pulled at my emotions, as his story unfolded so did his bewilderment at living in a time that was so far removed from the one he grew up in. The Author skillfully depicts the way in which he is torn between the moral code instilled in him during his formative years, and the moral code that is now the norm in the 21st century. The reader is pulled into this characters bewilderment and wonder at the things he now sees in the world he has entered; but is also drawn along with the urgency he feels at preventing the needless deaths of his comrades. He is asked to re-evaluate many of his beliefs, and we feel keenly the pain he experiences at having to make decisions that he would not normally be faced with. 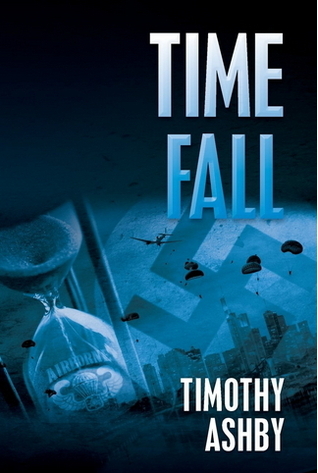 The remainder of the characters in this novel are not treated with any less detail; we learn of the Alabama boy who just wants to go home; the ex Hitler Jugend who still believes in the Nazi tenants and, in his position of power, is intent of seeing them to fruition; the war widow who believes that her Husband was lost over 60 years previously and the ex Viet Nam Vet who is intent on making sure that the men he is trying to find do not die as “terrorists”. All the characters bring out some kind of emotion in the reader, whether it is revulsion, empathy or just sorrow they are written so well. In the scene setting, the Authors remarkable knowledge of the areas the plot takes place in is highly visible, he knows his way round the Bavarian Forest and all the areas his characters visit are obviously well-known to him. He also shows a deep and accurate understanding of, not only modern terrorism, weapons and anti-terrorist Special Forces, but also about World War II era history and culture and this adds a whole new depth to the novel that could otherwise have been missing. The reader feels as if they are in the forests, walking through the German towns in the dead of night, even stood in the Scottish pub mentioned at the opening of this book. My only complaint about this novel was the silly little errors that slipped by the proofreaders and editors; things such as double words (the the) and also for some bizarre reason not all, but a vast majority of words that ended in ‘rn’ were appearing throughout the book as ending with ‘m’. This led to some very unusual sentences, where ‘burn’ became ‘bum’ and ‘turn’ became ‘tum’. They were nothing major, but enough to make me disgruntled that this fast paced exciting novel had been marred somehow, by these errors. I thoroughly enjoyed this fast paced thriller, and would recommend it to readers from teens upwards, and also those who enjoy reading the time travel/World War II/sci-fi genres. In fact I would recommend this novel to anyone that enjoys a hard to put down good read. 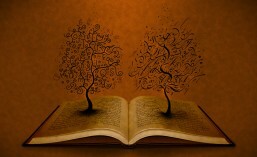 This is definitely one you could curl up in your favourite chair with and become truly engrossed in. Oxford in 2060 is a chaotic place. Scores of time-traveling historians are being sent into the past, to destinations including the American Civil War and the attack on the World Trade Center. Michael Davies is prepping to go to Pearl Harbor. Merope Ward is coping with a bunch of bratty 1940 evacuees and trying to talk her thesis adviser, Mr. Dunworthy, into letting her go to VE Day. Polly Churchill’s next assignment will be as a shop girl in the middle of London’s Blitz. And seventeen-year-old Colin Templer, who has a major crush on Polly, is determined to go to the Crusades so that he can “catch up” to her in age. This book is actually the first half of the All Clear duo. Together they come to some 1168 pages and, personally, I feel that they could have been published as one novel rather than splitting them in two. Both books centre on time travel from Oxford 2060 back into the past to recover historical items, in this case for the rebuilding of a certain Cathedral. The book is broken down into three episodic narratives, each from the point of one of the historians covered in the book, and it tends to jump from one narrative to another as it progresses. This can become a little confusing at times if, as a reader you are not used to either this Authors writing style, or the jumping around from one scenario to the next. However, I didn’t feel that this style of writing hurt the book in any way; after all it is a novel about time travel, which in its nature jumps around from one place to the next. The three main protagonists are likeable enough characters, and they are instilled with humour, compassion and worry. They worry if they will get home, they worry if their being in a particular timeline will alter their future, and most of all they care about and worry for those they come into contact with in World War II London. This brings us to the remainder of the cast of characters, of which there seems to be thousands; there are Soldiers at Dunkirk, civilians in the Blitz and many, many more; but for however briefly they appear in the storyline, this Author manages to write into each one their own personality and traits. It is a credit to the writing style of this Author that she is able to make these people from the past, not just some image in our mind, but actually come to life as living, breathing people that we care for and cheer on. The story is long and at times slow-moving, it also has plenty of things that don’t make sense if you really stop to think about it; but the time the Author takes to describe the effect of the bombing of London, the way the population rallies round each family hit and their stoical remarks as one night of air raids runs into another, and another, make the slow-moving pages feel rather like a break from the horror of the bombings. Regardless of the slower moving sections, the storyline was engaging and gripping enough to keep me reading on to the cliffhanger ending, and then make sure I read the second part of the story. Despite the topic of the Blitz, the Author manages to capture the dark the wit and humour of that era, and add to it a little piece of mystery and a touch of romance. The plot is extremely complex and the way in which the Author is able to take a multitude of disjointed plots and subplots and weave them into the cliffhanger ending of this book, makes this a very enjoyable read. The Author succeeds in taking the reader out of their own world for a while and into the Blitz of World War II; it is done in such a way that the serious and tragic nature of the subject matter is served up with enough humour to make it bearable – even uplifting. I would recommend this book to readers who enjoy time travel genre, but are also open to satire and humour in their chosen reading material. As there is nothing offensive in this book, I would also have no problem in recommending it as a YA read. At no point, in my opinion, would I call this book a love story. This is a book about perception, assumption and guilt; the kind of guilt that seals the lips, sections off the mind and sours everything that comes within its grasp. It is also a book about heroism, not the kind we are normally subject to, but the kind of heroes that do not realise, at the time, that this is how they appear to those they help. 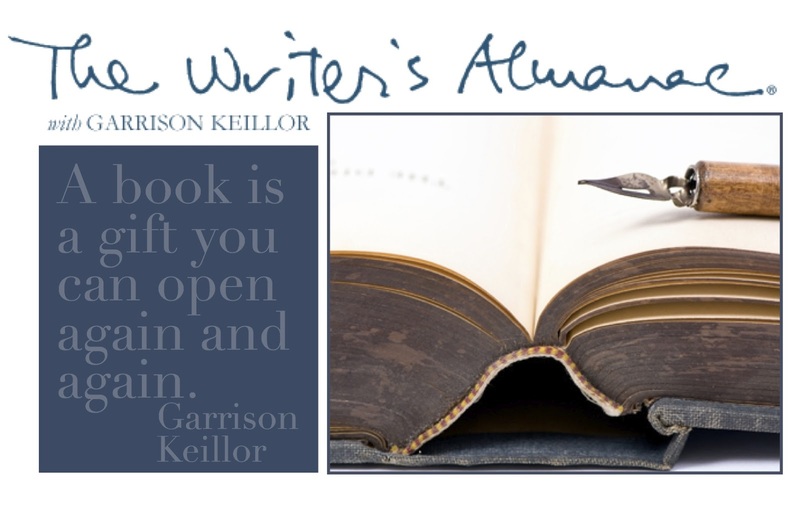 Secrets abound in the pages of this book, some of which we only discover the true nature of by reading, as the person holding the secret will take it with them to their grave. Due to the subject matter of the storyline, which is filled with brutality, questionable morality and some harrowing passages, it is not one that should be read by the sensitive or easily offended reader. If you are wanting to discover a different perspective of World War II, from the German home front point of view, this is a must read. The main protagonists in this novel are Mother and Daughter, and their stories take place in war-torn Germany and also in 1990 Minnesota, and it is written from both points of view. One would expect great character depth and development from a novel involving closely related people, who are also the main protagonists, but as secrets are part of this novel, so they are ingrained into our two main characters. Such secrecy is an integral part of the character development in this book, it keeps the reader from really finding out anything too deeply about either woman, other than their day-to-day struggles, and the shame they feel about things they have done in the past, or assume to be part of their heritage. The cast of characters, both during the war era parts of the novel and also the US side of the novel, are painted with a keen pen that reveals all their prejudices and preconceptions as to how a race behaves. For me, I was more stunned at the reaction of the American civilians to the German woman than I was of the German reaction to the Jews; this reaction is in part, I feel, due to the multitude of books that are available on the subject of the Holocaust (and rightly so), and very few outlining the feelings of those communities these German war brides encountered on their coming to the US. The bulk of this novel is set in a small town outside which lies a concentration camp. The description of the town before, during and after the war, as well as that of the camp and all that lies within its fences, are the result of obvious and deep research on the part of the Author. Many of the things described in this novels pages are written as fact in the annals of history, and this further lends to the book as it shows the amount of research that has gone into making this novel what it is. In the Authors description of the brutality of both the camp, and the actions of those who work there to the neighbouring townsfolk, we can see that for many that were faced with these wartime situations and the struggle of staying alive, capitulation was the often the easiest and safest route to take for those with a choice. I am not condoning what happened to millions of Jews during this time, and having been to the Holocaust Museum in Berlin which outlines the immensity of this in chilling detail I never would, but this novel adds another dimension to this time period I had not really looked too closely at before. 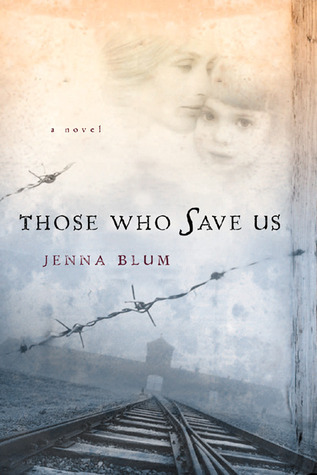 Yes, the book does bounce back and forwards between two different time periods, but this just allows deep insights into both character’s lives, how they have been shaped by the atrocities of war and the Holocaust, the will to survive and the guilt that comes with remembering, and how all this affects their relationship. It is definitely an emotionally draining book, not one of your curl-up with a good book, feel good novels, as it does recount in graphic detail many horrific events and atrocities against Jews and Gentiles alike. The book is a tense read, and also parts of it are incredibly sad but the Author never allows it to become too depressing by preventing the reader from dwelling on the horrors of the past, by balancing it with a message of promised hope for the future. The only thing I found a little disconcerting about the way the novel was written was the lack of speech marks. This made it a problematic at times to discern whether the character was actually talking or thinking. However, this was the first novel I had read that was written in this way, and it really did not detract from the storyline or my enjoyment of the novel in any way. Once read, this is a novel that will stay with the reader a long time. I would recommend this novel to anyone that has an interest in World War II, whether from an Allied or Third Reich point of view. Due to the images within its pages, I would not feel comfortable with anyone under a college age reading level picking this up, and also those of a sensitive nature may also find it harrowing. I have encountered a problem that may delay my reviewing your books. My Gen 1 iPad, which contains all my E-Readers, has had to go to Apple to have some issues fixed; it will be about 3 weeks before it is home. Until this time, I will only be able to review those of you who sent me hard copies of your books. I will be moving these books to the top of my To Read stack to avoid confusion for anyone who is searching for their book. To see if you are going to be affected by this short delay, please go to the link below to see if your novel is still on the To Read Stack. Please accept my apologies for this delay, and thank you for your patience. Posted in No Spoiler Reviews.